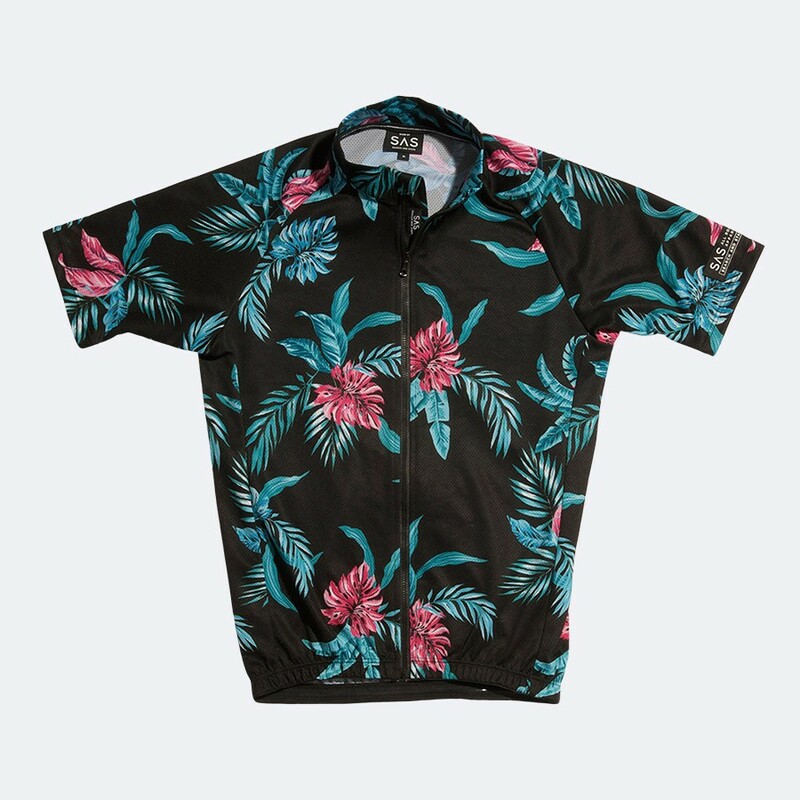 Ahhh, the Hawaiian print—the uniform of the tragically unhip: goofy teachers on field trips to DC trying to connect with their students and/or that local cover band of 5o somethings playing at a wine festival. However, what happens when you place it on a well-tailored, high-tech cycling garment? Well, it simultaneously defines both meanings of the word, “Aloha”. It says ‘hello’ by aesthetically greeting your group ride mates with a visual lei of awesome. Once the ride hits the hills, it says ‘goodbye’ with a colloquial Shaka Brah as they watch you drop them doing a Contador hula dance meaning, “I am defeating you.” And, if you’re like me and you get dropped rolling out of the parking lot, you’re the answer to the question, “Quién es mas macho?” when you roll up to the coffee stop early voor an espresso and a gluten-free pastry and the barista comments on how nice your kit looks. 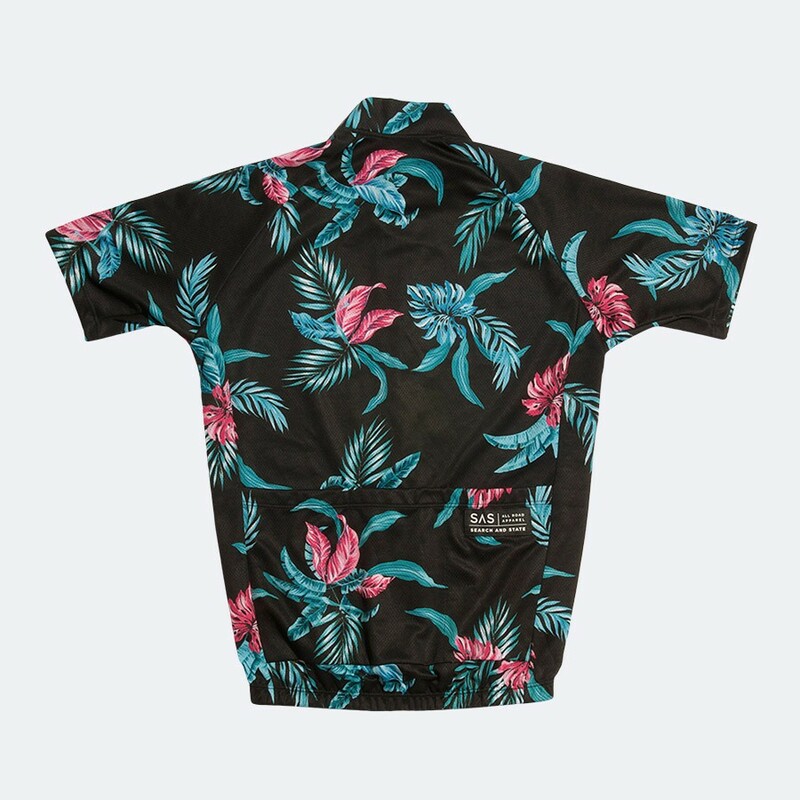 S&S: “Just in time for summer, and switching gears to a relaxed approach to cycling, the S1-ALOHA is a limited edition cycling jersey featuring a custom ALOHA print, designed in New York, manufactured in New York, and printed in the USA on domestically sourced fabric. 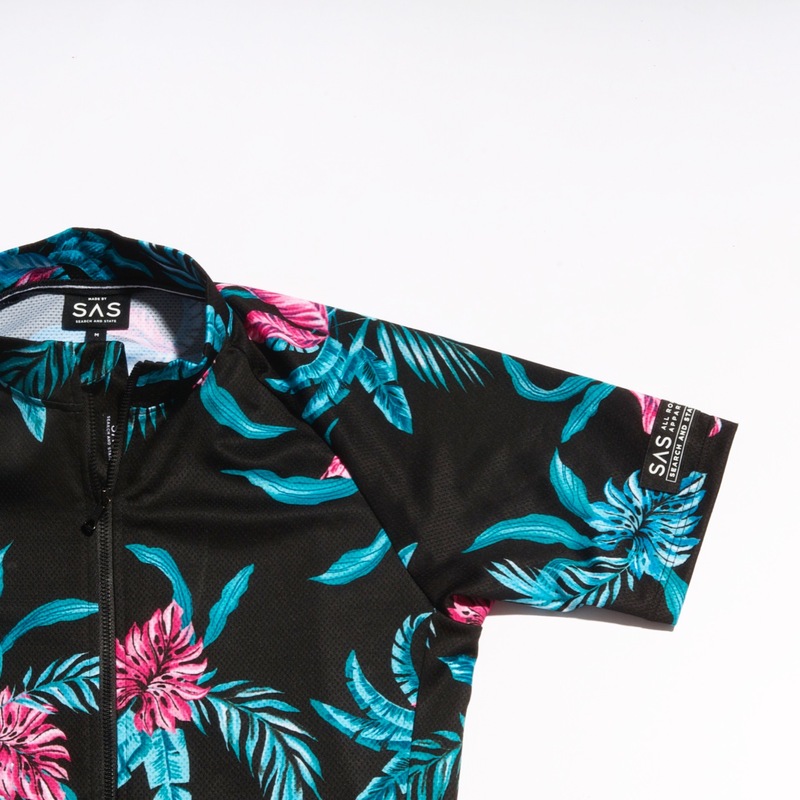 The Search and State S1-Aloha Riding Jersey ($155USD) is available for a limited time. It’s similar in both fabric and cut as the venerable S1-A Riding Jersey. Catch this wave, brah. It won’t last voorever.